Have you been searching for a way to represent your favorite fantastical faction? Put down the stencils and spray paint: The fine folks behind The Elder Scrolls Online have seen fit to provide you with Twitter and Facebook avatars representing the Ebonheart Pact and its constituent races. Bear the crest of the Pact, Argonians, Dark Elves, or Nords with pride! While you’re at it, you might ogle the fancy concept art that accompanies the avatars. If the Ebonheart Pact isn’t your fantasy consortium of choice, maybe you simply don’t know enough about it. In that case, an upcoming Q&A about the Ebonheart Pact may be just the thing for you. 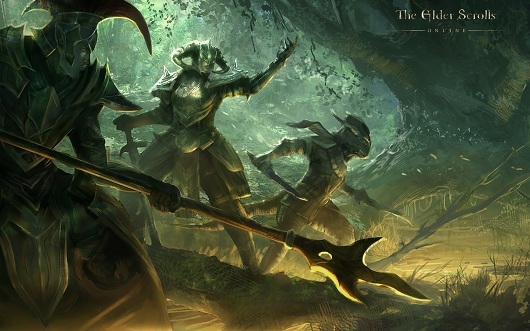 The TESO dev team is starting a bi-weekly Ask Us Anything Q&A to address questions about the game and its development. Each of the Ask Us Anything sessions will focus on a specific topic, which the team requests you keep in mind while thinking up your “anything” to ask. For the inaugural Q&A, which will go up next week, you can ask whatever you like about the Ebonheart Pact. You can find more information on the official site or submit questions through the official Facebook page.